Even in a world full of crossover SUVs, the pickup truck remains a popular choice for shoppers in need of a capable vehicle that can do it all. If you have your eye on a truck, then you may already know just how many options are available. From heavy-duty beasts to light-duty trucks, there's a vehicle for every project. But which is right for you? 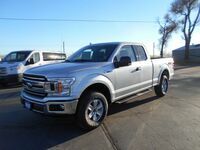 Since its creation, the Ford F-150 has been a great choice for truck buyers who need a model with a smooth driving experience, impressive payload and towing capabilities and a comfortable cabin. Like the F-150, the F-250 packs the same level of power and convenience, but ups with ante with even more capability thanks to its engine options. In fact, the most significant difference between the 2018 Ford F-150 and F-250 are the engine, features and capabilities of the two models. Here's a closer look at how the two compare. 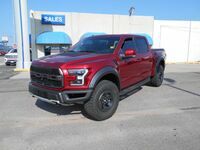 See the new 2018 Ford F-150 and F-250 at Wolf Auto Center today! Both the F-250 and F-350 are available with diesel engine options and a variety of similar features. However, it’s the F-350 that has more overall towing and hauling capabilities. 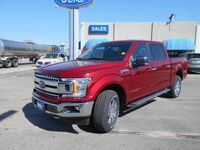 The two trucks also receive a number of updates for 2018, including new engine options for the F-150 and a new optional technology package and stereo system for the F-250. With all this said, you might be wondering, "Which Ford F-Series truck is right for me?" The best way to choose the perfect truck is to compare the specs of each. The right pickup truck should have the correct amount of towing and payload capability, number of seats and types of high-tech features you need. Our handy chart above does a good job of summing up the differences between the F-250 and F-350, but if you're looking for a more detailed comparison, we invite you to contact us. Our team will provide you with any additional product information you need so you can choose the right truck for you. Contact us today!